Whether your perfect date includes stargazing in a national park, watching the sunset over a vineyard, or enjoying a night on the town, you can find it in Redding, California, a fantastic place to spend time with your special someone. In Redding, you’ll find the perfect balance of escaping the hustle-and-bustle of everyday life while still enjoying top-notch restaurants, accommodations, and amenities. You’re surrounded by some of the state’s most beautiful trails, parks, and waterways, but a craft brew or locally made wine is never far away. You can enjoy incredible architecture, farm-to-fork, cuisine, and manicured gardens—all in a place that gets more than 300 sunny days each year. Here are some options to help you plan a memorable trip, no matter what type of vacation you need. Sure, it’s fun to be surrounded by incredible natural beauty, but sometimes you just want to spend a relaxing weekend with your partner, eating and drinking in comfort. In Redding, there are plenty of options for quiet walks, shopping, and in-town entertainment. Start with a unique spot—Armando’s Gallery. 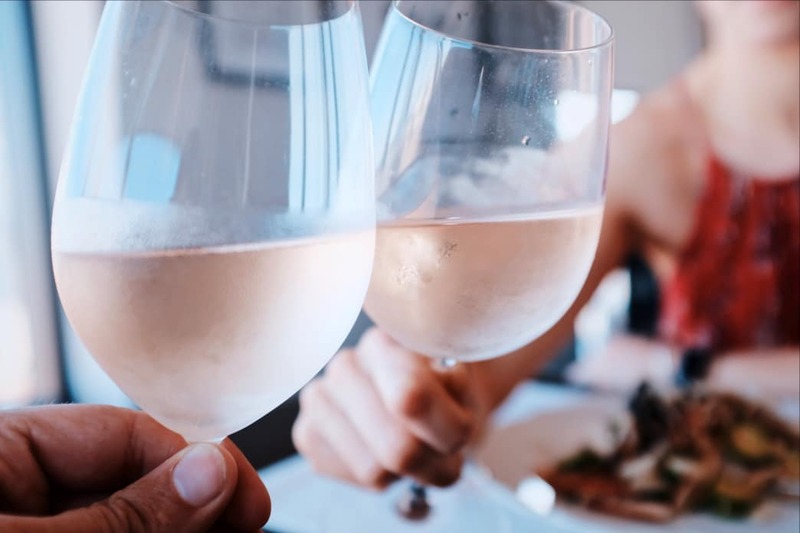 This eclectic beer and wine lounge, art gallery, painting studio, and restaurant located in Redding that is a must-see for couples looking for a special date. The menu is sourced with local ingredients and rotates each week. Diners are encouraged to pick up a paintbrush or chat with the artist/owner as they sip wine. Other great dining options for couples include the Market Street Steakhouse, View 202, and Deja Vu. Those who enjoy sampling local craft beer have several brewpubs and breweries to choose from. The Wildcard Brewing Company is a favorite spot for locals and visitors alike that often hosts food trucks and is known for its cozy atmosphere, friendly staff, and deliciously frothy IPAs. Other top places for craft beer aficionados include the Fall River Brewing Company, Final Draft Brewing Company, and Woody’s Brewing Company. Wine lovers won’t be disappointed with the offerings in Redding, either. Burnsini Vineyards is located right off I-5 just south of Redding, and the tasting room is nestled among the picturesque vines of the nearby community of Cottonwood. Locally owned and operated, the winery features a Petite Syrah that’s definitely worth a taste. Other popular wine spots in the Redding area include Moseley’s Family Cellars, which crafts its wines with grapes grown from all over California. See the creations for yourself at one of its two tasting rooms in Redding. Majestic Oak is another option in town with a wide variety of wines to choose from, including some impressive dessert wines. Download the free app UpStateCA Wine & Beer on your phone to find directions and information to local wineries, breweries, and hotels—plus deals and alerts to upcoming events. Looking for more than eating and drinking? Redding has many relaxing options, including live music, film festivals, and art galleries. It’s home to the historic Cascade Theatre, which has been beautifully restored to its original 1930s art deco design. Enjoy concerts by nationally known touring artists, musical, symphonic performances, comedians, and other performances throughout the year. If you’re looking for a charming and romantic place to stay, Redding features four bed & breakfasts in town. If you want to escape to the outdoors, Redding seemingly endless options of parks and trails to explore. It’s something of a hidden gem compared to some of the busier outdoor destinations in California, so it isn’t hard to find solitude with your partner. There are mountains, national parks and monuments, waterways, and recreation in nearly every direction. Redding is the perfect home base for visiting the entire southern Cascades. Nearby are Whiskeytown National Recreation Area and Lassen Volcanic National Park, both of which are perfect for stargazing when the weather is warm because there is minimal light pollution in this part of the state to interfere with your view of the stars. Bring a blanket to lay back on, a few snacks—and your night is made. The Redding area is also home to some of the state’s best waterfalls. 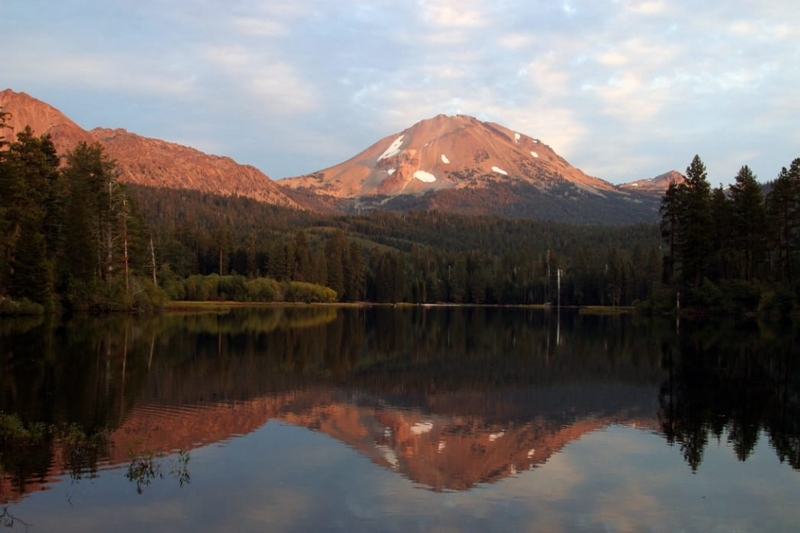 In fact, dozens of them dot the Northern California landscape, and many can be accessed on a single loop drive from Redding to Burney, north to Mount Shasta, and back to Redding. For an unforgettable waterfall hike, visit the McCloud River Falls Trail, a 3-mile trail that explores the unique volcanic environment near Mt. Shasta with three waterfall lookouts. Be sure to visit McArthur-Burney Falls Memorial State Park, which features the 129-foot namesake waterfall. It’s fed by an underground spring, so you’ll see the 100-million gallons flowing every day of the year. If you’re up for whitewater rafting, head to the Klamath, Sacramento, or Trinity Rivers. Get a guide and plan for a day of excitement. There’s also plenty of paddling on the area’s many lakes and cycling or hiking on the seemingly endless trails. You don’t have to travel very far—take a ride or walk over the iconic Sundial Bridge, which is located along the paved Sacramento River National Recreation Trail that’s a great option for a relaxing trip at the end of the day. Outdoor adventurers may want to spend the night in a cozy cottage with amazing views. Redding is also a great place for family adventure. If you’re bringing the kids along, start your trip at Turtle Bay Exploration Park, located along the Sacramento River. 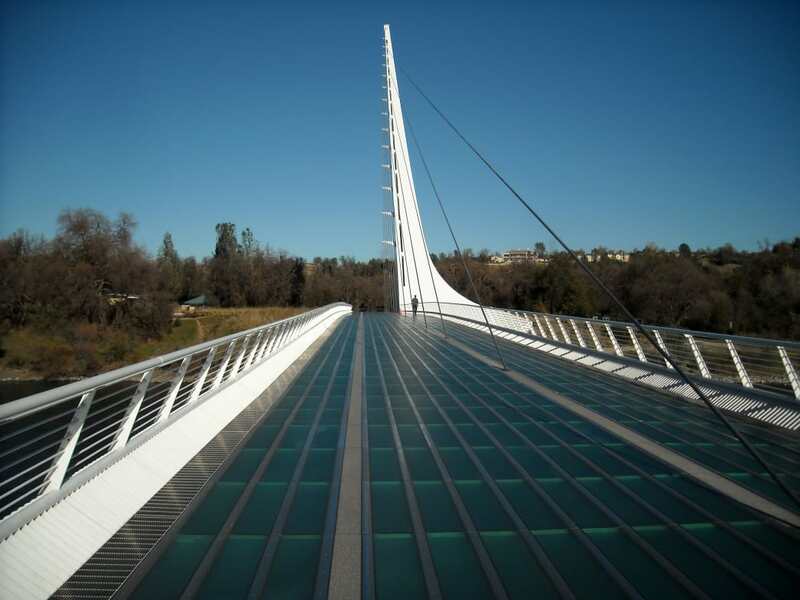 A must-see for anyone visiting Redding, the park is designed to tell the story of the region and its people and includes a museum, underground aquarium, as well as rotating art and wildlife exhibits. It’s home to the McConnell Arboretum and Botanical Gardens, which offers fun and beautiful places to explore. 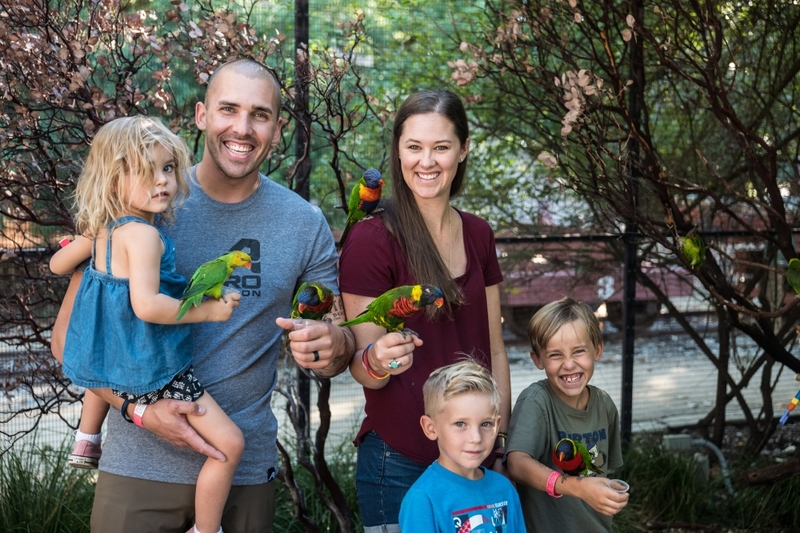 The park is also filled with hands-on activities that the kids will love, including the Parrot Playhouse, which allows visitors to walk among an exotic bird habitat. There’s nothing that beats family time on the lake! Shasta Lake is the largest man-made reservoir in California, and it features more than 360 miles of shoreline. It’s just the largest option in an area with many lakes and rivers to explore. Rent a powerboat and try water skiing, or opt for a quieter trip with a kayak or stand-up paddleboard. The Redding area is also home to some of the best fishing in the country, and the McCloud River, Pit River, Hat Creek, Fall River, Trinity River, and Sacramento River are all excellent options. Hire a guide to help you find the best spots, and if you’ve never tried fly fishing before, this is the place to do it. For an excursion the kids will never forget, head to the Lake Shasta Caverns National Natural Landmark. You’ll take a catamaran across the lake before enjoying a tour of what’s considered to be one of the most beautiful limestone caves in the country. And finally, the whole family will enjoy a day at Waterworks Park, which features water slides, a zero-entry wave pool, a lazy river, and other cooling attractions. Back in town, Redding is filled with hotel options for families of all sizes and budgets.